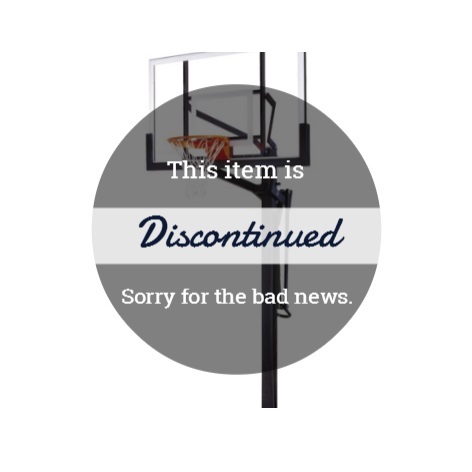 Product: Please see similar model98862 Mammoth Basketball Hoop, which has a Glass Backboard. Lifetime 98865 Competition Series Basketball Hoop Goal System, In-Ground Bolt Down with a 60x38x2 in Square Clear Acrylic Backboard, 5 in Square Bolt-Down Black HT Rapid Cam Pole, 3 ft Extension at 10 feet, Pole Pad, Pad Lock, & Court marking kit. Ask about our lighting kit promotion when purchasing this model. What do we think about this model? This is a very popular model. The competitive price, free pole pad, lifetime warranty, and free shipping are all huge benefits with this model. This model is manufactured by Mammoth, but it is marketed a little differently. It has the "Competition" logo instead of the "Mammoth" logo. Its very similar to the 98862 model the big difference being that this model is Acrylic and the 98862 is glass. The glass is considered an upgrade and is more expensive to make. That accounts for the difference in price. Many customers who have purchased this in the past might assume that it is glass since Acrylic is the next best thing and plays similar to glass. These are definitely high-end basketball systems. You do not see these in drive ways as often as the lower-end goals. Assembly on this takes about 3.5 hours with two people (5-7 required when hoisting it onto the anchor plate) and is well worth the time. They do not wobble or shake. Its very similar to playing in a high school or gym. Because of the size of the pole, these poles anchor into the ground. Do not be intimidated by the cement work. Its a piece of cake. You simply follow the instructions one step at a time and you are done before you know it. The instructions are designed for parents to assemble; not contractors so even if you are not too handy you should not be worried. There is some prep work you can do while this is in transit on the way to you. The hole that you dig is 4 deep and 21"x21" square. It is recommended that you put it right next to the playing surface. These are too large to ship with UPS or FedEx so they ship on a pallet via Roadway or ABFS. They call you to schedule a delivery as someone does have to be home to sign for it. It comes in three large boxes. Give our customer service a call if you have any questions. What do our Ebay customers think about the 98865 model? ballen901 Excellent product. smooth transaction. chozann Great Price + Great Service = Great Seller! leebl GREAT TRANSACTION, ITEM JUST AS DESCRIBED. lmnaville On time Delivery - Flexible when I had certain requests. as3625 Outstanding System, Fast Delivery, Great Seller! stratton777 Product arrived on time as described. Saved about $300 over buying it locally. lookingforaclassic Product was as described. Accurate transaction! pdrrdrmdrwhr Thanks for waiting on me. Very happy with Product and Delivery. fazoobegirl This item came HUGE and were ready to take on the NBA. Thanks so much! *accessory #0647 replacement pole pad is available for this model, but it does come with a pole pad. 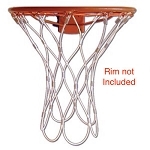 The 98865 Competition Series Basketball Goal is a Mammoth Basketball Hoop Style similar to the 98862 Mammoth Basketball Goal. The 98865 in-ground basketball hoop does not have a Mammoth logo on it but has a Competition logo. Very happy with the b-ball system for my Econo Lodge! Thank You! Exceptional value on this product. We bought this product several years ago for our front driveway. It is a sturdy, well built quality product with multiple height adjustment. It is great for practicing shooting on and playing games with my kids. It is also fun to lower the hoop and slam dunk on it. Very nice looking design and structure. This is a very impressive basketball goal. I think it took us about 3.5 hours to assemble. It was well worth it. It looks very nice and plays very well. It is definitely a high end professional goal compared to what we have owned and have seen in most driveways. Great product. Easy to change heights and great durability. GREAT, HD UNIT, YOU WILL NEVER NEED ANOTHER. This system was perfect for our half court. It is easy to adjust for big and small players. Best bang for the buck. Highly recommend. The system is exactly as described and was fairly easy to assemble. Looks great and is easy to adjust! My Mammoth basketball setup is the envy of my neighborhood. Our family has spent many hours shooting baskets together and I am very pleased with my Mammoth system. I am glad I bought it. Dimensions: 122" x 47" x 12"